Will Millennials fully embrace mobile payments in 2016? Campass Plus recently completed a consumer survey in the UK that points to a not very rosy future for mobile payments when it comes to the next big-spending generation, Millennials. The survey concluded that despite the increase in alternative payment methods and solutions, Millennials (aged between 18 and 34) do not plan to replace traditional methods in the next 10 years. Only a mere 8.2 % of Millennials see mobile payments becoming their primary payment method over the next decade, compared with 80.6 % stating cards and 11.2 % choosing cash. So what does that mean for the mobile payment industry? Although nearly three quarters of under 29 year olds would rather leave their house without their purse or wallet than their mobile phone, over 80 % of the millennial respondents chose either a debit, credit or contactless card as the payment method they will use the most in 10 years’ time. Millennials as mobile payment adoption laggards? Back in July Trustev (and Forrester Consulting ) conducted a similar study in the US which validates the Campass Plus survey. These are not outlier results and observations. So what’s the deal with Millennials? 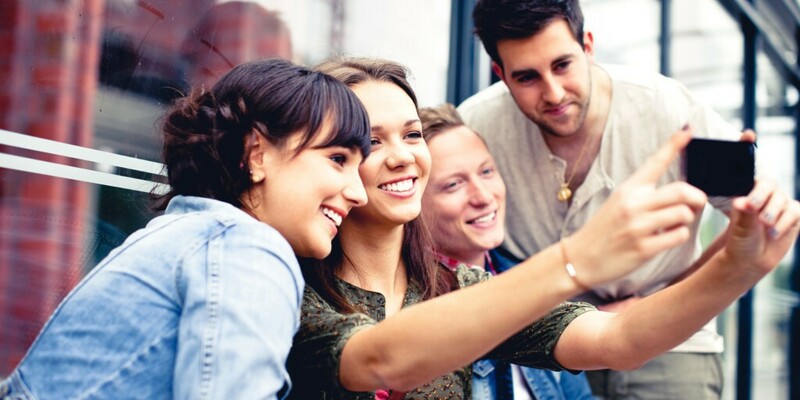 What are some of the factors affecting mass mobile payment adoption among Millennials? 91 percent of Millennials have at least one debit card, and routinely used them. 80 percent of Millennials have a standard credit card or make online payments regularly. It’s not that Millennials are unfamiliar with alternative payments. They clearly are. Just mention Bitcoin, Apple Pay, Samsung Pay and you will instantly get an intelligent answer. A telling 66 percent of Millennials reported having at least one payment app installed but never frequently used. So is it time to rethink the mobile payment preposition or just focus on better marketing to Millennials? Social is one way to succeed—share recommendations among friends and engage using Snapchat and Instagram-like capabilities. I think this is where Fintech comes in. The traditional mobile payment solutions that a majority of Millennials have downloaded seem to be underpinned by technology and concepts that are not necessarily “Millennials-centric”. Compelling promotions are key, as opposed to just loading one more app on your phone. Aggregated apps for multi-merchant sites are the best way for retailers to capture their audience’s attention. As a Millennial, I would be more inclined to use mobile payments only if the recommendation came from friends and it contained a unique mix of functional choices that would entice me to make purchases. There are a few Fintechs offering such mobile payment products and the next 10 years will definitely be exciting to watch as the mobile payment industry faces the demographic changes. Will millennials embrace mobile payments in 2016? emarketer.com is predicting substantial growth in the US. Mobile wallets such a Apple Pay, Android Pay and Samsung Pay which will become a standard feature on new smartphones. However, will this translate to Millennials finally fully embracing mobile payments? Should we still be expecting Millennials to reshape the financial services industry in 2016? Tell us what you think in the comments section below.